Flat illustration of golden tape symbolizing involvement in the problem of childhood cancer. International Childhood Cancer Day. 15 February. World cancer day. template design world cancer day with ribbons. 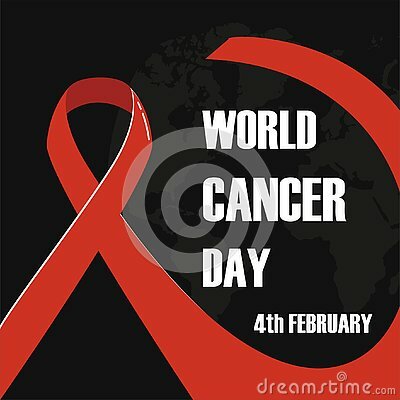 February 4, World Cancer Day Icon On Wooden Block Isolated On A White Background. Vector Illustration. February 4, World Cancer Day banner.